What, you may well ask, am I doing in Barbados? Well, given the major snowstorm, accidents, road closures and mayhem that hit back home today (Thursday, Mar 21), I might respond “Immaculate planning!”. But the truth is that this is part of my 60th birthday present from my ever beautiful wife Susan. The gift was a sailing vacation in St. Vincent & the Grenadines. 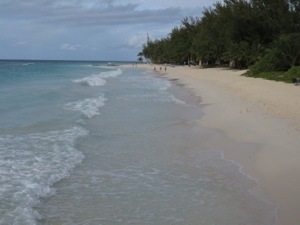 Barbados is really just a stop-over on the way to the island of Canouan where we pick up our charter sailboat. Canouan is not an easy place to get to from Edmonton so the best route seemed to be to fly to Barbados then take a local airline to Canouan. And if we were coming all this way it just seemed to make sense to spend a couple of extra days in Barbados. We left Sunday night (actually the wee hours of Monday morning) on the red-eye to Toronto then continued on to Barbados, arriving mid-afternoon. 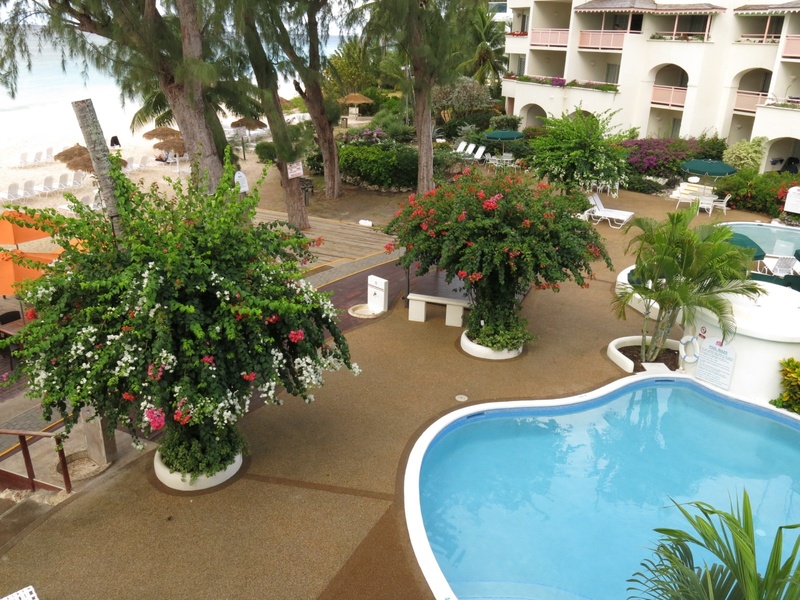 We are staying at the Bouganvilla Beach Resort which is a very nice place although a little isolated in terms of nearby restaurants. 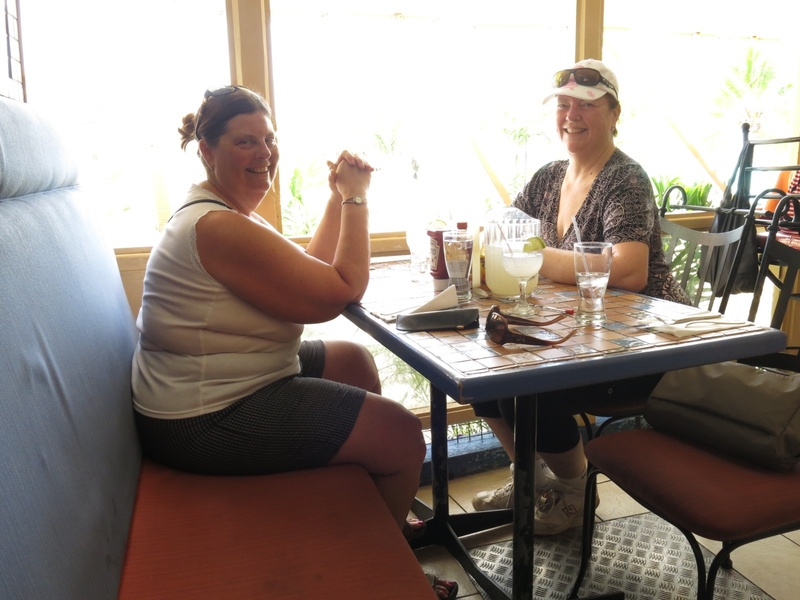 However the restaurant in the hotel is very good so we have been spendiing most of our time lounging around the pool or at the beach and eating in the hotel. View from our balcony at the Bouganvilla Beach Resort. 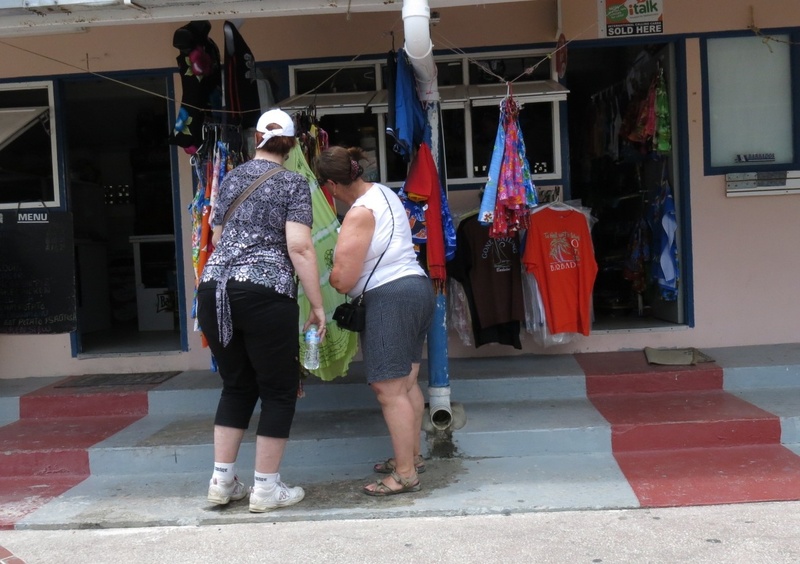 On Tuesday we met up with our friend Deana to stroll around St. Lawrence Gap which is an area of restaurants and shops about a 15 minute walk from our hotel. At the far end of “The Gap” we enjoyed some great margaritas and lunch at a little Mexican restaurant. 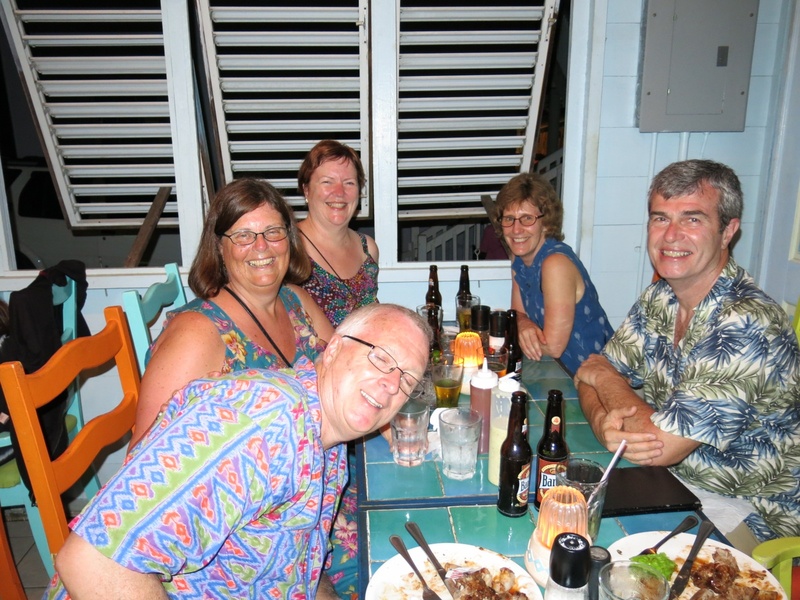 The rest of our crew have made their own way to Barbados. Deana has been here for a couple of weeks staying with a friend. Rick and Linda arrived the day after we did. Tonight the friend that Deana has been staying with wanted to take her out for an early birthday celebration and wanted the rest of us to join them, so all 6 of us congregated at Shakers Bar and Grill. The dinner was pretty good and a nice send off for our last night here. Tomorrow morning a taxi will pick Rick & Linda up at 6 am, continue on to pick up Deana then collect us for the trip to the airport and the next part of our adventure.